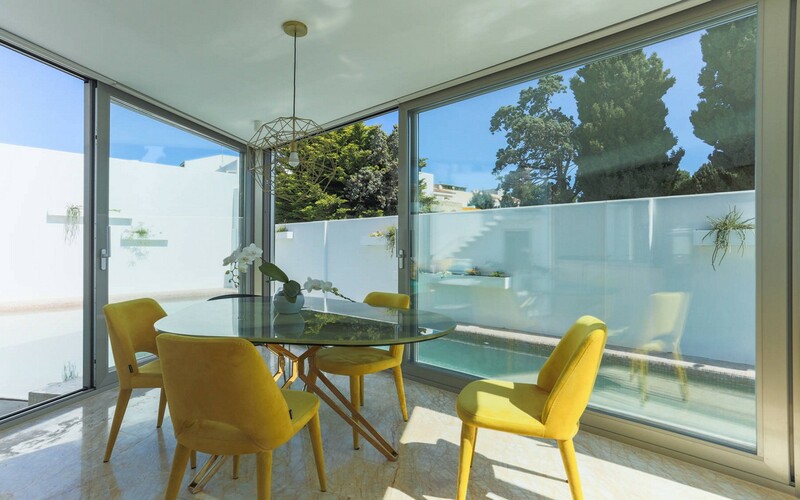 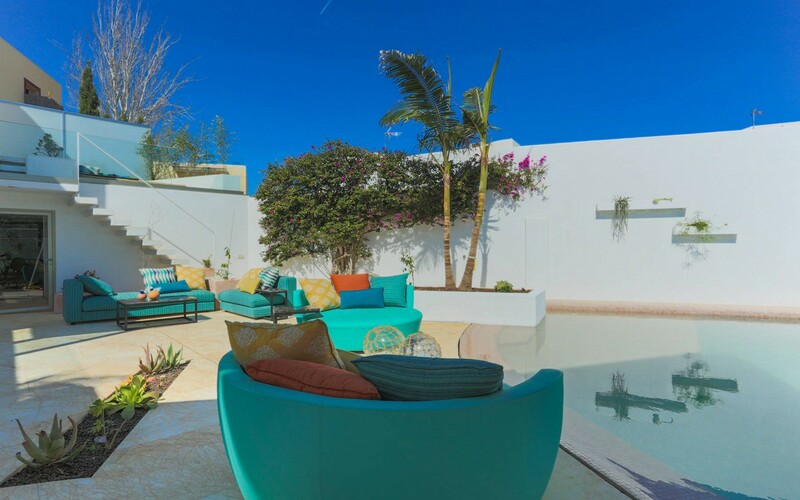 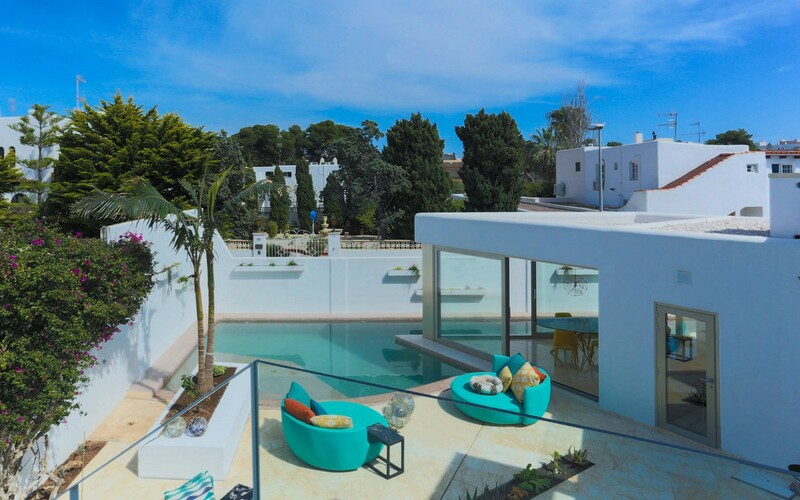 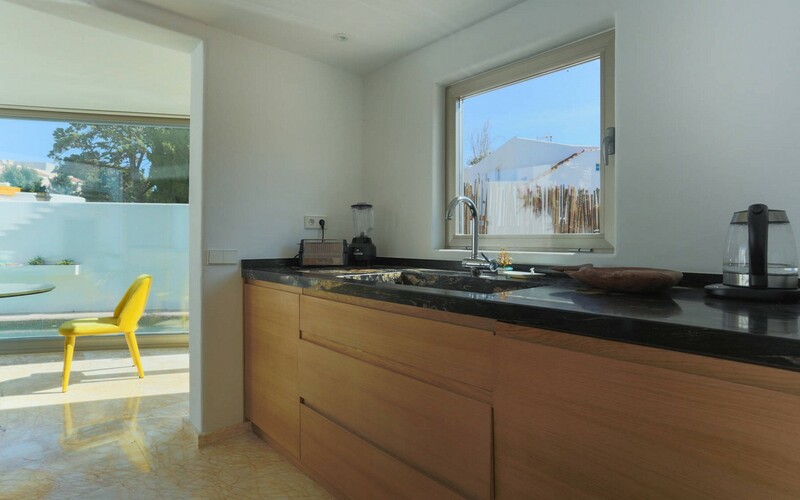 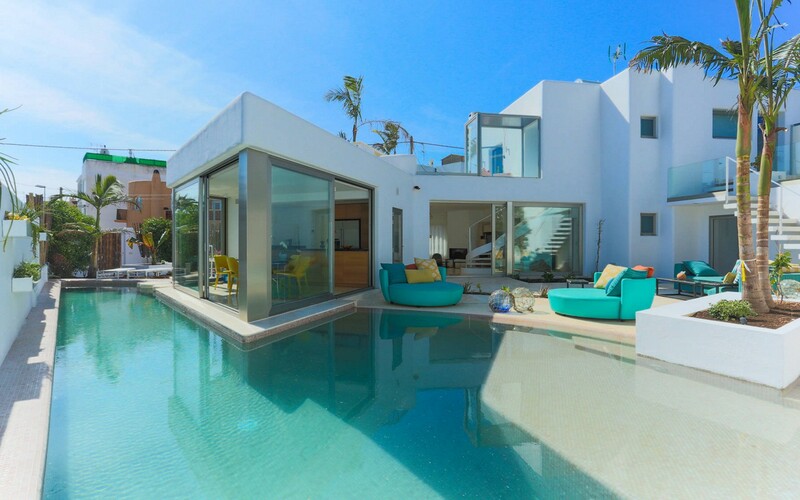 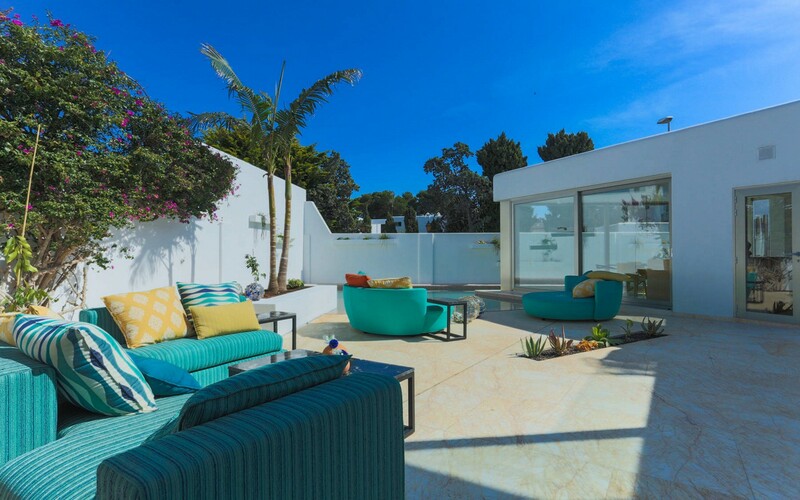 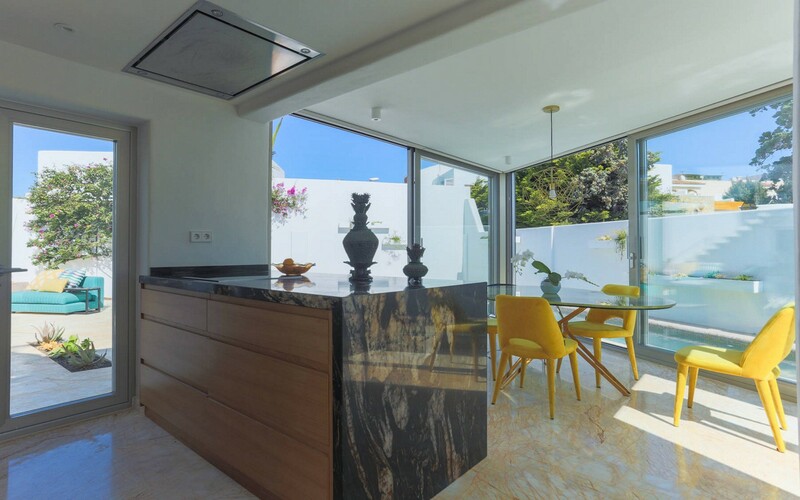 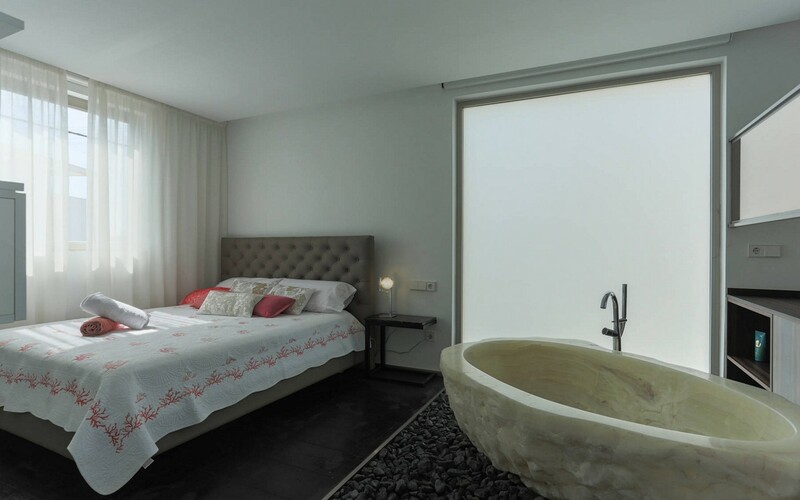 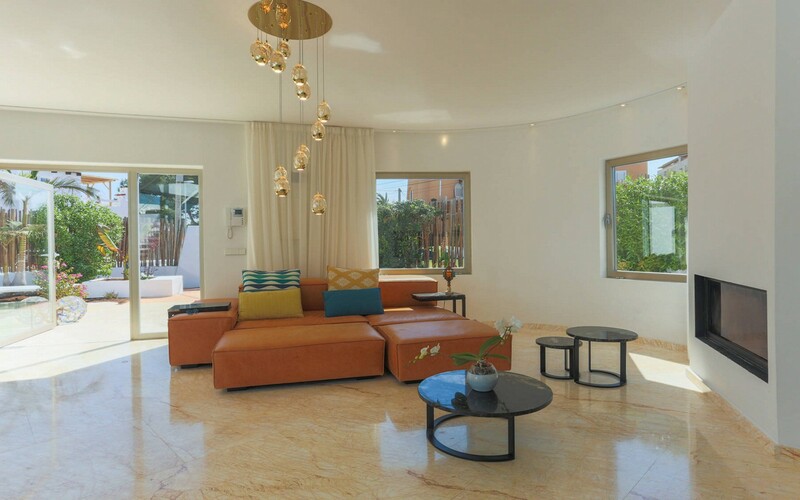 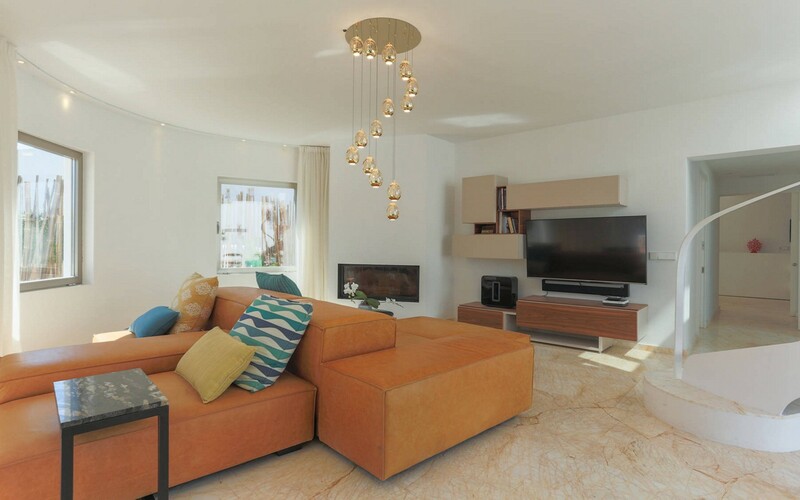 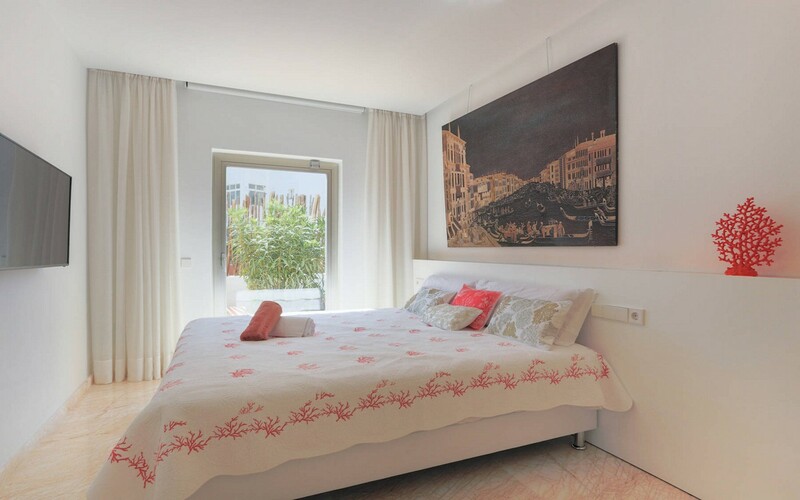 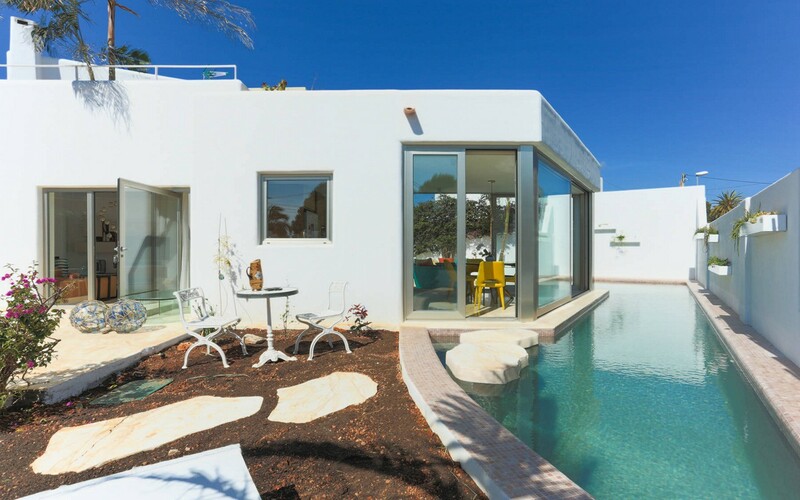 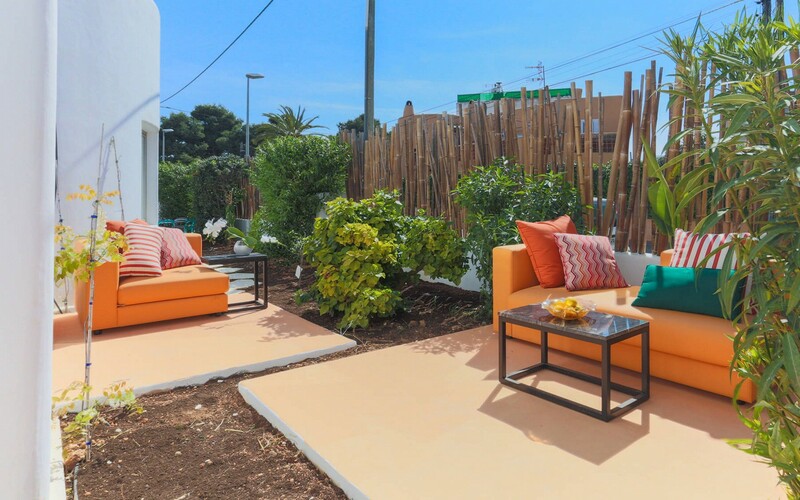 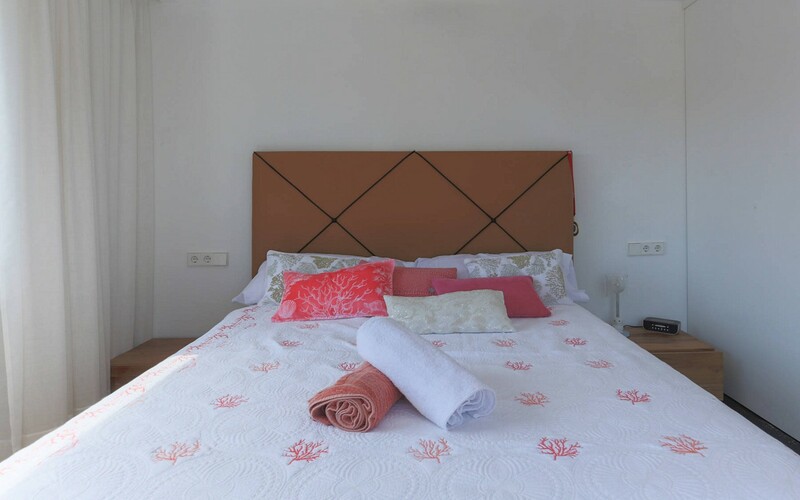 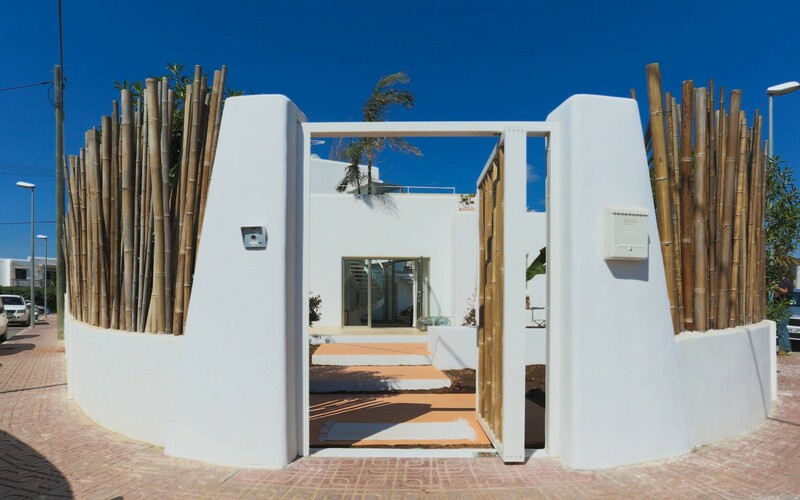 Villa Can Italy is a modern villa located in the heart of Ibiza, in the lively Playa d'en Bossa, ideal for those who want to move comfortably on foot reaching in just 2 minutes the attractive beach of Playa d'en Bossa and the shops, bars, restaurants or night clubs like Hi and Ushuaia. 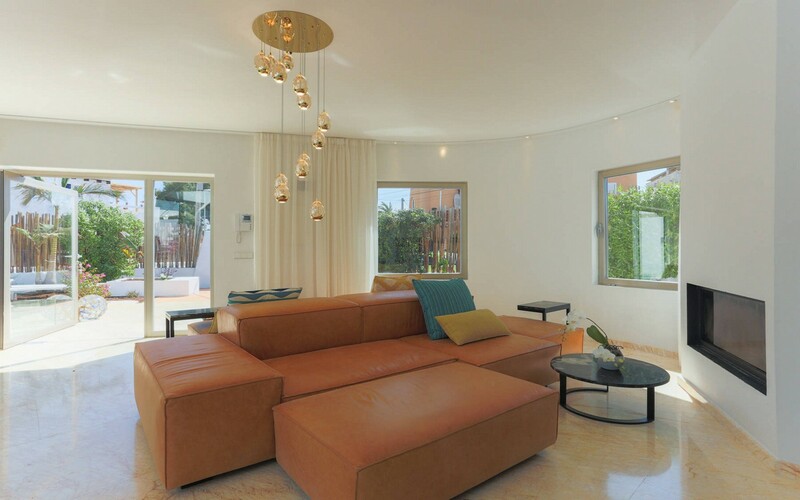 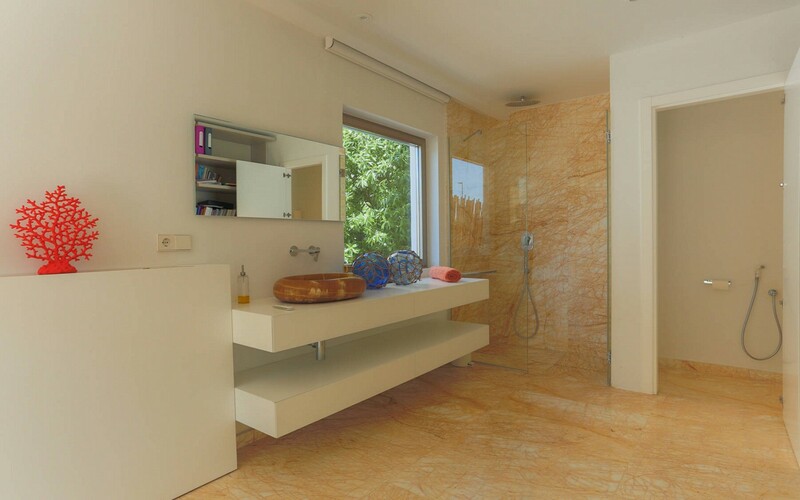 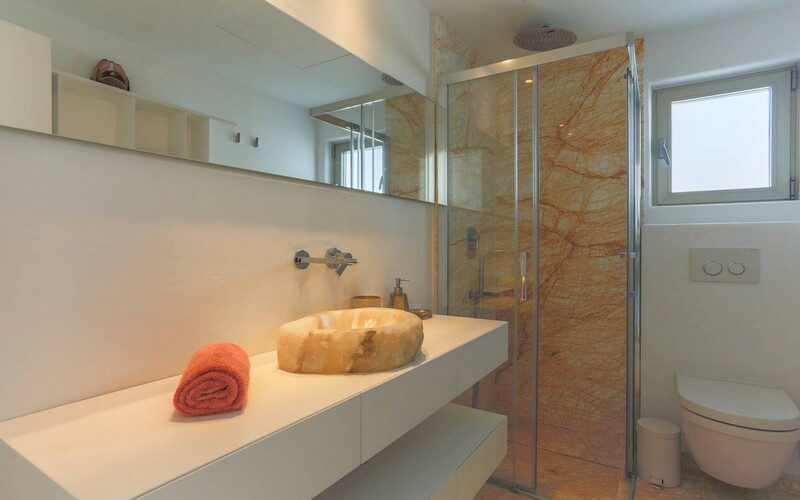 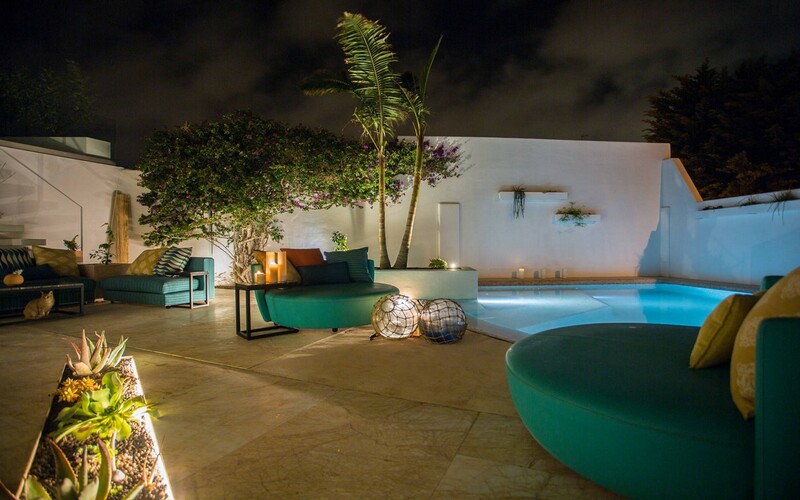 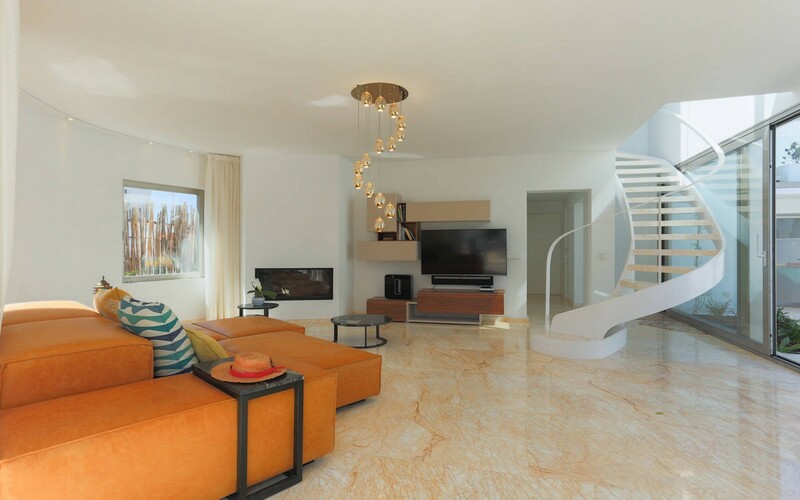 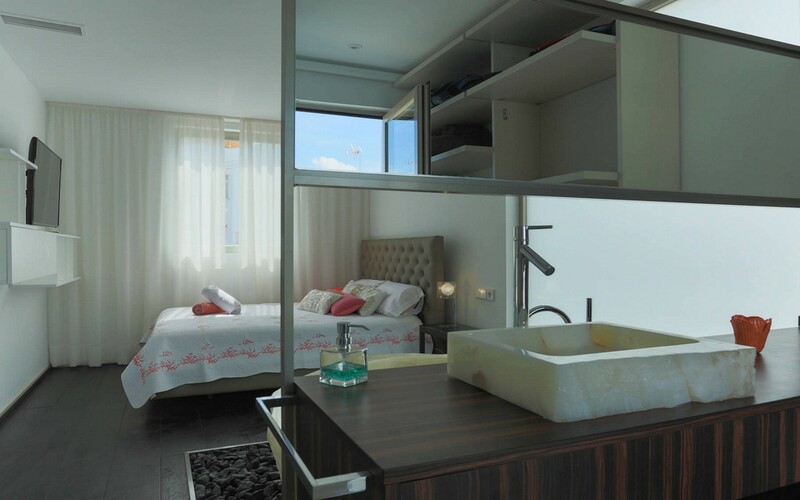 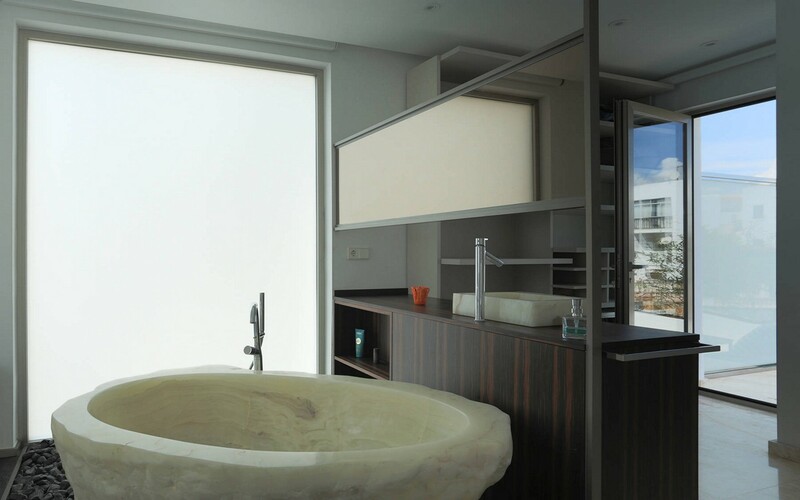 The house is furnished in a minimalist style and is very bright. 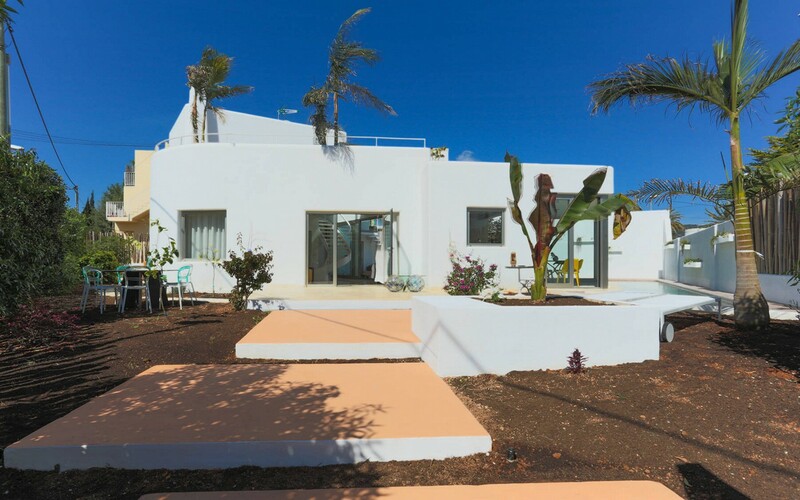 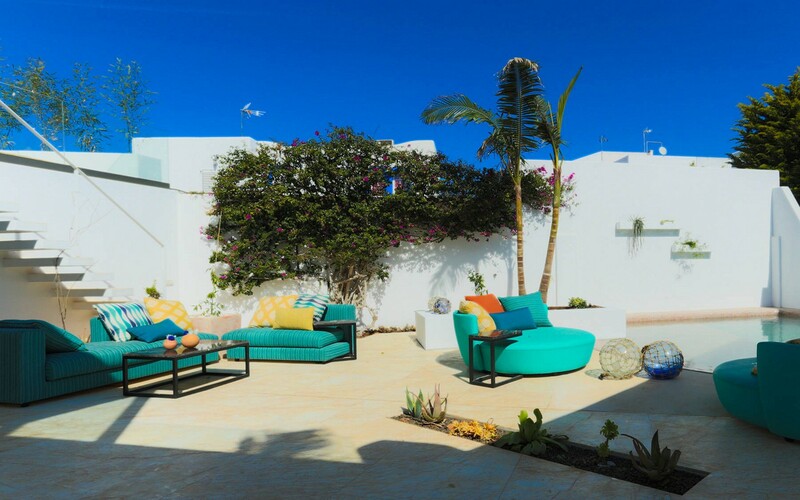 The property is on two floors and is fully equipped with alarm, air conditioning and wi-fi; entering the villa we find a large living room equipped with every comfort, a large and complete kitchen that has direct access to the pool and the garden. 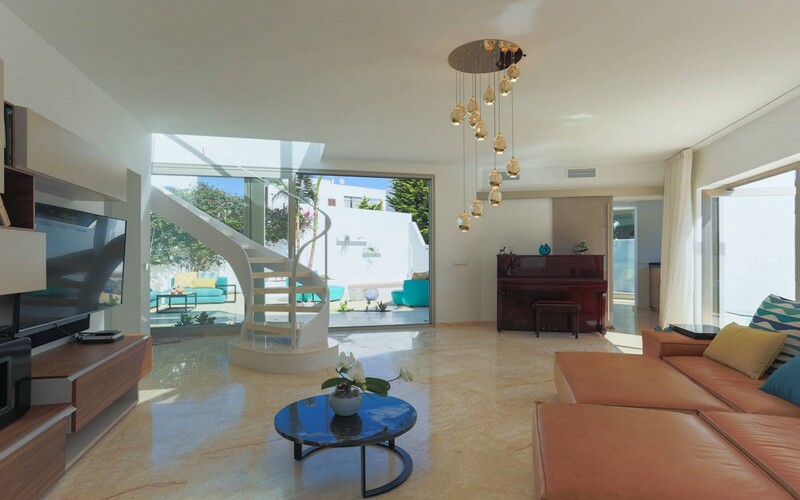 On this floor there are two bedrooms and two bathrooms. 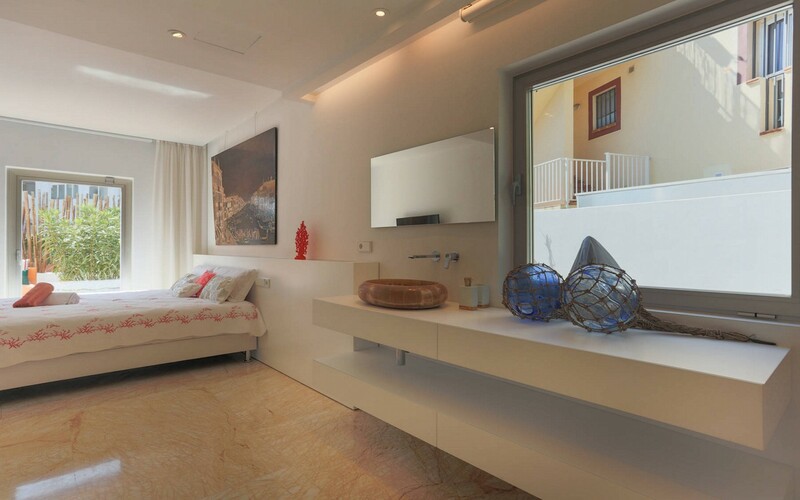 Moving upstairs we find two more bedrooms and two bathrooms. 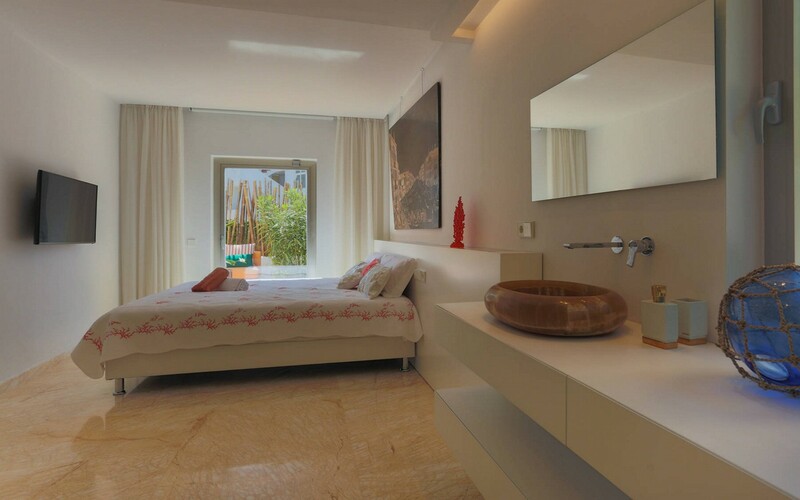 The exterior of the villa is furnished with a well-kept garden and a beautiful swimming pool with sunbeds. 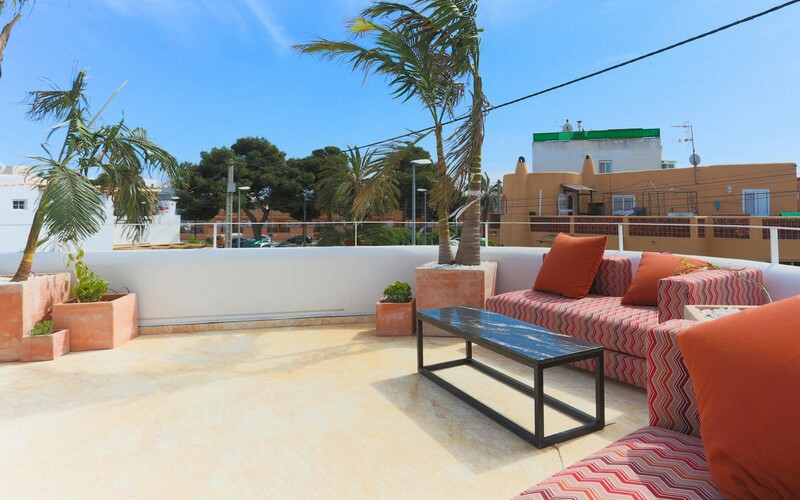 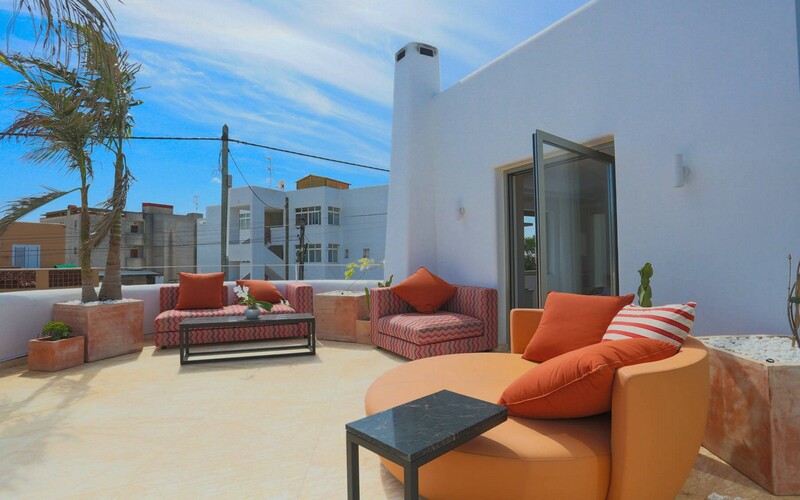 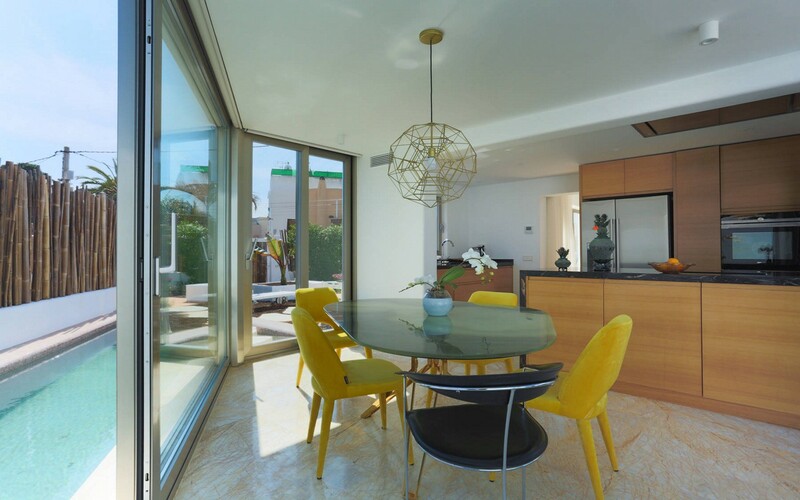 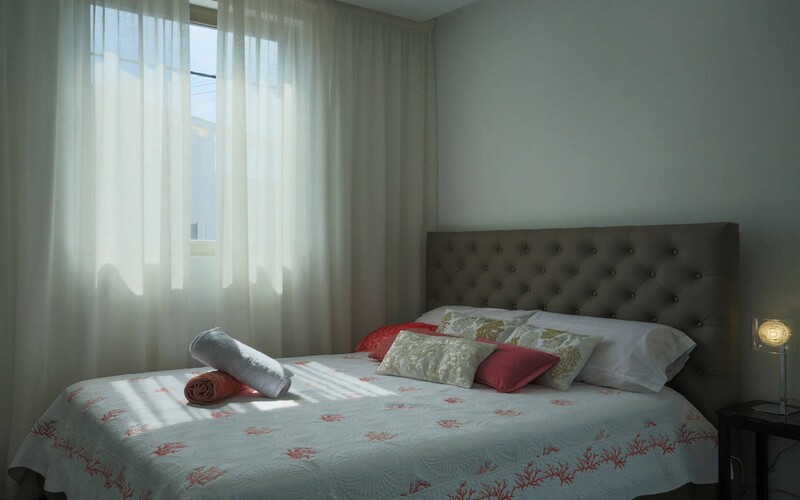 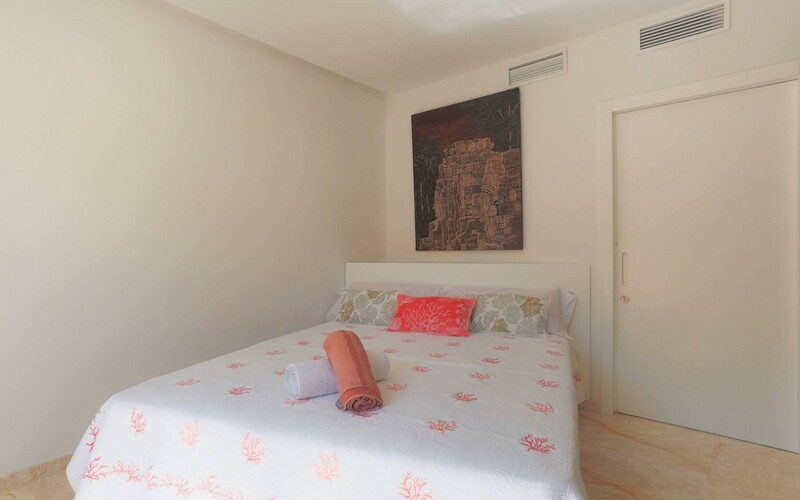 This property also has many terraces perfect for relaxing and enjoying a wonderful view of Ibiza.